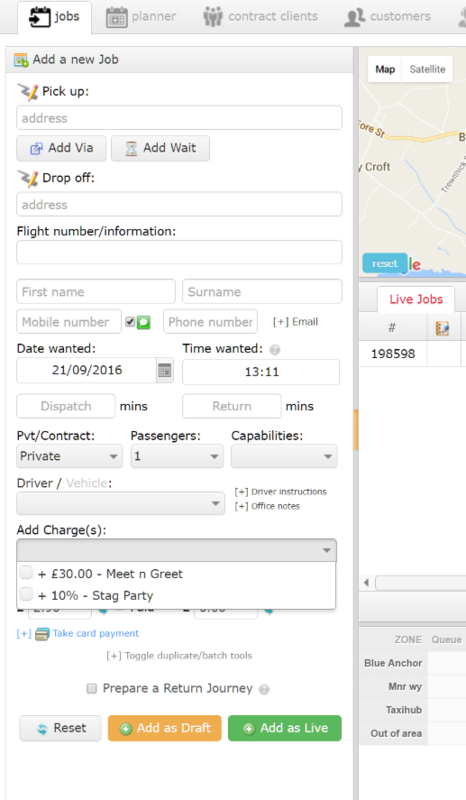 We have made it easy to add pre-defined charges to jobs in Taxi Hub. If for example you add extra for “Meet ‘n’ Greet” you can go to the settings area and create a price for this extra service. We have also created a percentage uplift on fares as well – the example I have used here is for stag parties. 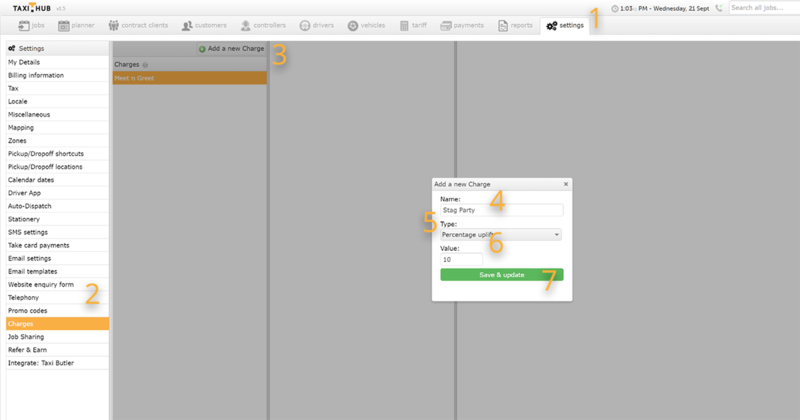 You can the add these new charges in the “add a new job” pane on the desktop suite by selecting from the drop down menu as shown below. Tip – make sure the “Quoted Cost” has updated. If not press the pair of small blue circular arrows next to the quoted cost box.